B-stock and refurbished guitars are discounted upon inspection by Bajaao because they fail to meet the quality control guidelines. These are Issues such as a scratch or minor finish flaw that prevent them from being sold as “New”. These products are certified by Bajaao technicians to be in full playing Condition. These products are covered for damages during shipping under standard Bajaao return policy. Non-returnable item and not covered under standard manufacturer warranty. 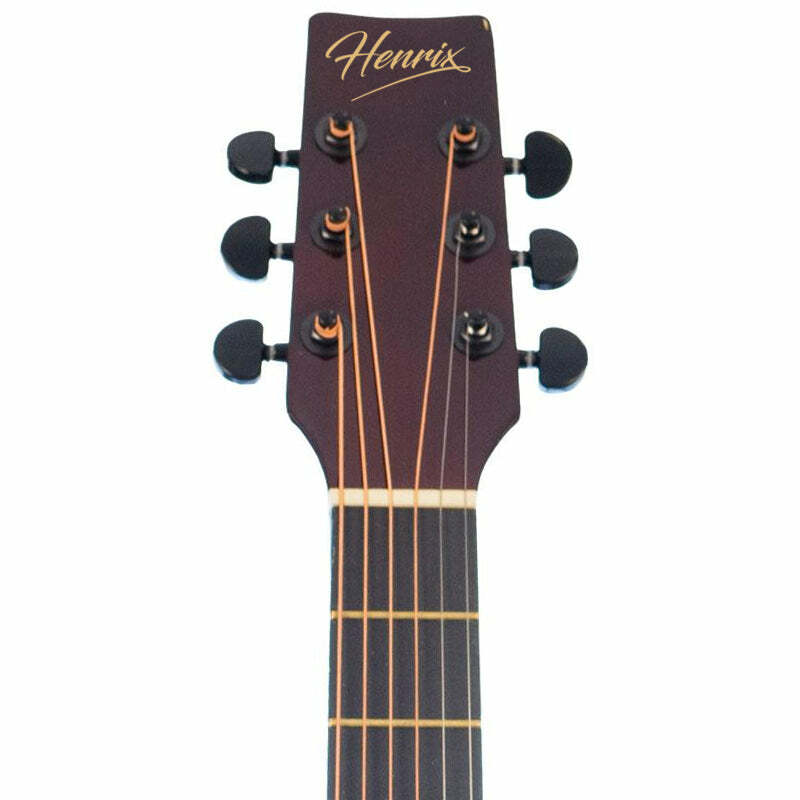 Henrix 38” Acoustic Cutaway guitars come with a truss rod and superior die-cast tuners and are available in 2 colours. (i.e. Natural, Black). Henrix B-stock guitars are discounted upon inspection by Bajaao because they fail to meet the quality control guidelines. These are Issues such as a scratch or minor finish flaw that prevent them from being sold as “New”. Henrix 38C 38 inch Cutaway Acoustic Guitar with Die-cast Tuners and Dual-action Truss Rod - Includes Picks, Bag, Strings, Strap, Polishing Cloth and String Winder. 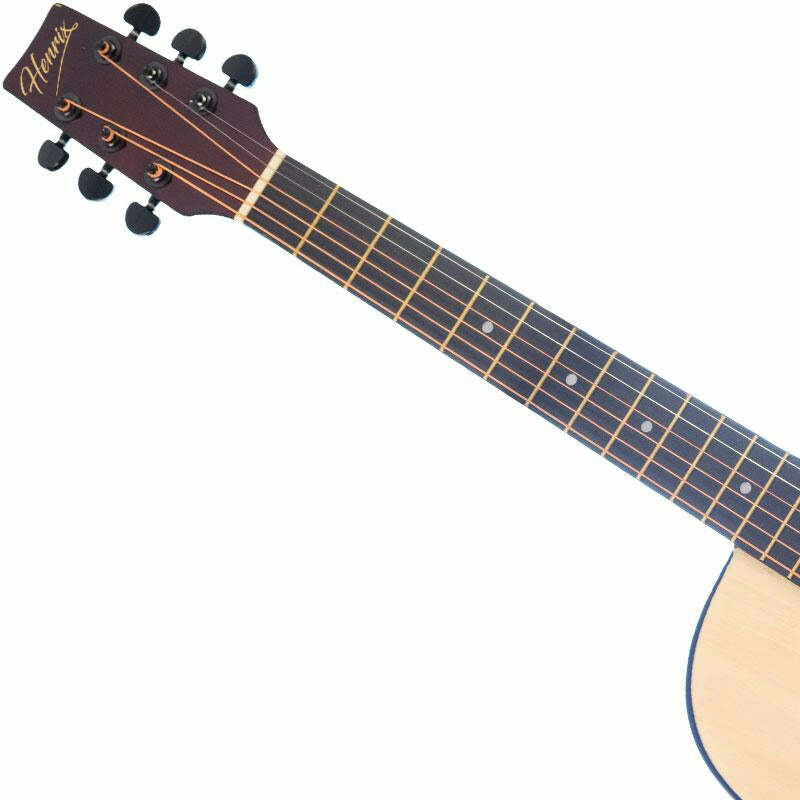 Henrix 38” Acoustic Cutaway guitars come with a truss rod and superior die-cast tuners and are available in 7 colours. (i.e. Natural, Black, Sun Burst and Red Burst). Henrix 38C comes with a dual action truss rod which gives you the liberty to adjust the action of your neck in either direction if warped. This is a more advanced design and is used by modern luthiers over the vintage single truss rod. Thus, a warp in the neck in either direction can be fixed. This extends your guitars life by making it more resilient to climate changes. Guitars without this dual action truss rod need hefty repair jobs to fix neck warps. The 38C comes with high precision(18:1), matt black laminated diecast tuners. This allows you an effortless & precise tuning. This is a prefered tuning machine head preferred by a lot of professional guitarists. These are best for long jam sessions, as they stay in tune for longer. We add an accessory pack with this guitar which makes this a one-stop solution for any beginner. The pack includes - A guitar gig bag, strap, three plectrums (picks), extra strings set, string winder & a microfibre guitar polishing cloth. Colour: Natural, Sunburst, Red-Burst, Black. I have ordered a refurbished and I am fully satisfied with the quality.There are some small dents on the fretboard,but it is fully playable. I was a little worried as this is the first time I was shopping from Bajaao.. The package arrived within 5 days.. and I must say the quality of the guitar is simply awesome at just ₹3000/- Nice finishing.. good sound of the guitar... All the accessories were intact.. The strap is of good quality.. Although the bag was of average quality but ok.. can't expect much in this price range.. I am happy with the product.